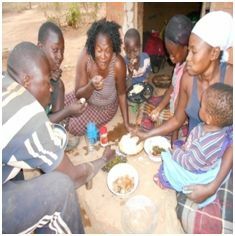 Chrissy and Suzen Lukanga are Zambian missionaries involved in reaching out to unreached people groups of the three Northern provinces of Mozambique. They are based in Pemba. Chrissy and Suzen are church planting in these provinces and from that other development will emerge. There are two major objectives; to establish a strong church in their community and they are well on the way to achieving that, and also to establish an English medium school to build relationships into the area and to give young people a better chance at employment. 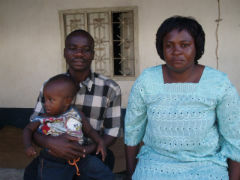 When Chrissy and Suzen first moved to Pemba they were working with another Zambian couple. However it did not work out as expected and the other couple had to leave which meant Chrissy and Suzen stepped into the leadership. And they have proved to be faithful and hard working in their role. Despite a lot of pressure and hardship they have stuck to the work and fruit is now coming. They have started a church and it is exciting to see what God is doing. They have Sunday services from 0900hrs -1100hrs. Numbers fluctuate between 50-80 people per Sunday. They have now started to concentrate on developing a leadership that will be relevant for the vision of the Church in Pemba. There are youth services, children's and couples meetings and some of their young people have been sent off for Bible and Missions training. Local people are now involved in children's and youth ministry. They see the children as the backbone and future of the work. They began to meet in a house until an old building became available. They were able to purchase it and it is in a permanent state of renovation. Having this larger building has been a huge boost to the work there. This partnership provides personal support for Chrissy and Suzen Lukanga and their family along with their ministry expenses. Initially the ministry expenses will be for a small scale agriculture project and HIV / AIDS training as they settle into Pemba and develop relationships with key people. Chrissy and Suzen have a good strategy for their ministry. They are self motivated and are very determined to succeed there despite the difficulties. The church that has sent them is involved as much as they are able to be. They are also experienced at ministry. Chrissy and Suzen Lukanga have five children. 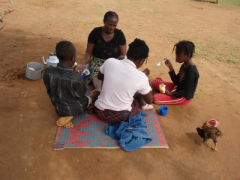 Sonia (born 22.7.1991) is helping them with their ministry in Mozambique while the younger four are at school in Zambia. Chrissy and Suzen often have to travel back to Zambia to sort out their education issues. They seem to be doing well although they are missing parental care and guidance. The other problem for them is when school closes they get stranded in Zambia without knowing where to go to spend school holidays. To establish vibrant and relevant churches in the capitals of the three provinces. The vision is that once these are established they will be replicated in the surrounding districts of each province. These churches should be able to attract even the upper and middle class people who are seldom seen in the churches there. Chrissy and Suzen envisage that more infrastructure can take place once the churches are established. 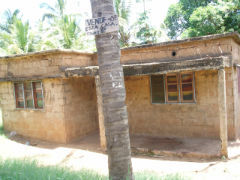 They would like to also establish resource centres to help feed, dress and educate orphaned children and other vulnerable people, a Christian English school to help catch and influence the future leadership of the country, clinics to provide quality medical services, and HIV/AIDS related projects. The Lukanga's are keen to partner with other organisations that specialise in development work to help get these projects off the ground. The annual budget that BHW sends for their personal support is US$2,640. The annual budget for their ministry expenses is US$1,320.